Christina Cultural Arts Center - Gift Your Love for the Arts! Gift Your Love for the Arts! Make a Difference in the Lives of Youth through your Support of the Christina Cultural Arts Center this Holiday Season! Making a positive and artistic impact in our community.. When David and his wife Binta married three years ago, all of their wedding guests donated gifts to Christina Cultural Arts Center (CCAC) because of the profound impact made on David's young life. David, a graduate of FIT in New York, a Veteran and a Filmmaker, had applied for a passport at the age of 15 and with the help of Christina Cultural Arts Center was able to travel explore the globe. "As a teenager growing up in Wilmington, CCAC helped me unlock worlds and ideas I may have never discovered. I grew leaps and bounds through the power of discovery. I proudly attribute my ability to navigate and find success as a soldier in Iraq and as a manager/producer working alongside award-winning musicians to my experience at Christina Cultural Arts Center. " For 73 years, Christina Cultural Arts Center (CCAC) has been inclusive and welcoming and a pillar of hope that brings generations of families together through the arts. 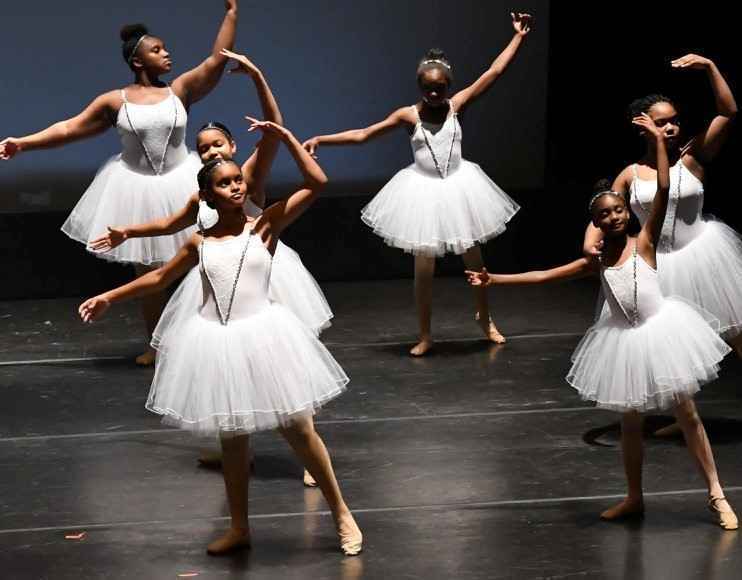 Our mission to remove access barriers to arts learning includes music, dance, drama and technological instruction, youth violence prevention, career internships, and education for community development. Affordable classes are taught by top notch artists in the tri-state region. In 2018 alone 5,447 children, teens and adults from low income communities benefited from improved access to affordable arts experiences. Classes are affordable because of generous donations from our supporters, but as the income gap continues to grow we must continue show up for those who need our help. SHOW your love for the arts by making a monetary donation to CCAC online - link. GIFT your love for the arts by pledging your holidays gifts, in lieu of receiving a present ask your family and friends to donate to CCAC- click here to start your own online personal campaign page. SHARE your love for the arts as a CCAC Social Media Ambassador - click here for social media campaign media kit for online posts (will create link when materials are available). We need your help this holiday season to continue our mission using the transformative power of the arts to impact the lives of youth and families into the New Year and onward! The UD A Cappella groups put on a performance to raise money for the CCAC. As performers, we want to support the arts however we can! I would like to designate $500 to the general unrestricted fund and $500 to the Raye Jones Avery Scholarship Fund. I Chose to give to the arts because the arts have given to me as a child, my children when they were children and now my grandchildren.